The time has come! Finally Morzine and the Portes Du Soleil big wigs have released the 2014 summer MTB lift pass prices. 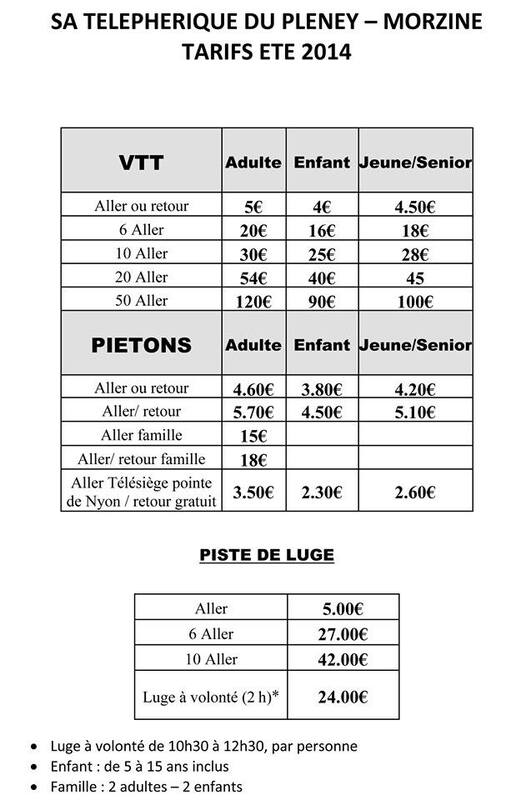 Some changes have been made in the pricing structure due to the new Pleney lift but the full Portes Du Soleil lift prices have not changed much at all. The main change is that you can now purchase a certain amount of trips/journeys/runs or what ever you choose to call it down the Pleney. The full PDS pass is priced at €96 for 6 days / €108 for 7 days and the most important one is €240 for the full PDS season pass. However if you have a full PDS pass from the winter you will get a 50% discount on your summer pass, so €120 all in. that's awesome!!! See the full prices below! !